If you know someone who loves modern technology and there is a special occasion coming up, you will find plenty of options available when it comes to affordable gifts. Gone are the days of having to turn to the same old gifts year in and year out – you can now invest in a range of technology at a very reasonable price, which means that you can treat someone special to a great tech gift or gadget. From wearable tech to mobile devices, you will find something for every need, budget, and preference from amongst the wide range of tech products available today. We now live in a digital era so people will really appreciate these types of gifts because they are now practical rather than niche. What types of gifts are good options? Bluetooth speaker: If you are buying for someone that loves to listen to their music, a Bluetooth speaker could be the ideal solution. You can get all sorts of makes and models available and you can choose from mini Bluetooth speaker to waterproof ones and more. These are available at very reasonable prices and they make great gifts for those that love tech and music. Smart watch: Wearable tech is all the rage these days, and one thing you can consider as a special gift is a smart watch. Many people now have smartphones so the next step is buying them a watch to complement their phone. The watches available on the market come at affordable prices and they combine style and modern design with innovative technology so the wearer can enjoy the best of both worlds. Mini virtual assistant: We have all heard about the popularity of virtual helpers such as Google Home and Amazon Echo. Well, if you are on a budget you can now go for a mini version such as the Google Home Mini. This is much cheaper than the full scale version but will still prove invaluable to those that love their tech and would like a mini VA to help answer questions without them having to go to any effort themselves. Smart toothbrush: For the person that loves technology and wants to look after their dental health, a smart toothbrush is a great option. These brushes not only help to keep your teeth pearly white and clean but they also let you know if you have missed parts of your mouth so that you can start brushing more thoroughly. So, there you have it. 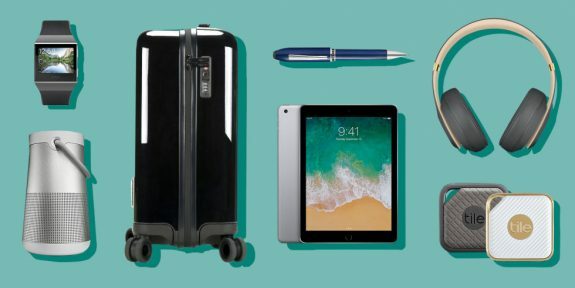 These are just some of the great tech gifts that you can consider if you want to treat someone special in your life to something special from the world of tech.